The weather has turned a corner. Baseball is in full swing. Roses are (probably) blooming. Somewhere. Hibernation over. No more excuses. Come out and play! 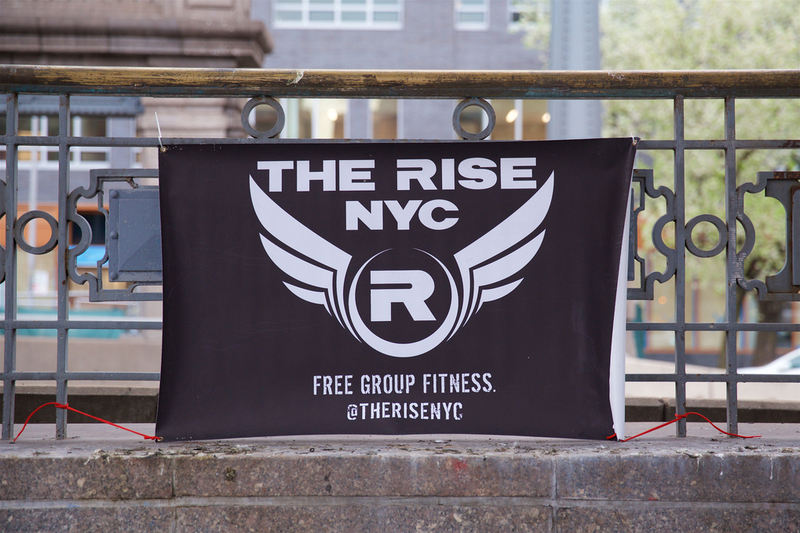 Tomorrow (April 2nd) we’re bringin’ the fun to Times Square for our Wednesday core body workout. New Yorkers may hate Times Square, but how many New Yorkers have done burpees, lunge jumps, and Magic Mikes at 6:30 AM on the big, red steps by TKTS? This is gonna be one big sweaty Times Square sans tourists. Only Tom Cruise has ever been so fortunate. We’ll meet here at ~6:28 AM. Friday we’re back at the Williamsburg Bridge for some modified hill repeats. How modified? Think short sprints uphill punctuated by squats, pushups, and other core body exercises. If you’re preparing for a Spartan Race, Tough Mudder, or any other obstacle races this is the kind of training you need to be doing. More importantly, if you want to supercharge your running you ought to give this a try. Will it hurt? Definitely. Will it be the best thing you do on Friday? Without a doubt.